Monthly magazine about classic rock music, published monthly in the United Kingdom. It started as a one-off magazine in 1998, but its potential was quickly realised by publisher Future, making it a monthly magazine. The magazine focuses on established bands with credentials dating back to the 1960s. Indeed, many of the artists who have appeared on its cover are deceased. 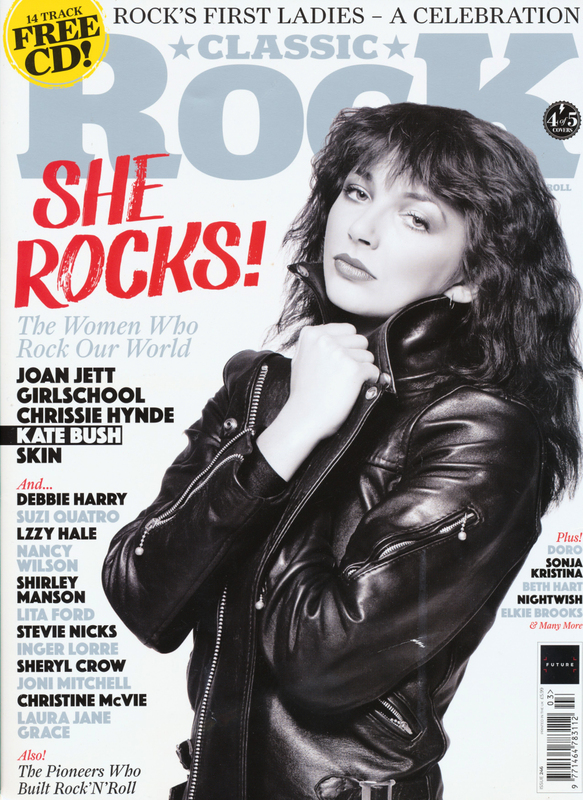 Kate Bush was the magazine's cover star on issue 246 in March 2017, being one of five different covers showing female rock stars. Classic Rock (magazine). Wikipedia, retrieved 2 January 2019.